In the second (and best) movie of the Star Wars trilogy, The Empire Strikes Back, the climactic scene is a lightsaber duel between Rebel apprentice Jedi, Luke Skywalker, and Sith Lord, Darth Vader. 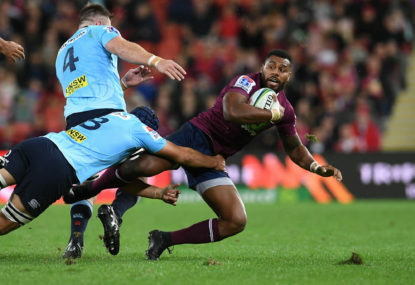 Last week on The Roar, David Lord suggested that Scott Higginbotham could have made more of an effort to support hard-working captain Samu Kerevi during the Reds’ 29-17 loss to the Waratahs. Expectation was in the air as the 18,000-strong crowd shuffled into Suncorp Stadium on Saturday night. 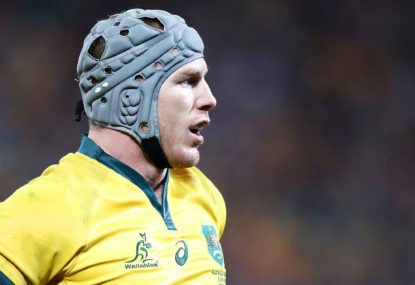 Newly appointed Wallabies selector Michael O’Çonnor has raised the prospect of David Pocock being selected as the Wallabies No. 7 over current incumbent captain Michael Hooper. 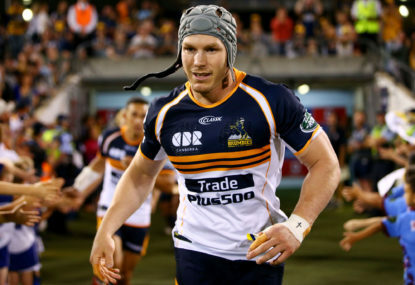 Will Cheika really let Larkham take the fall? 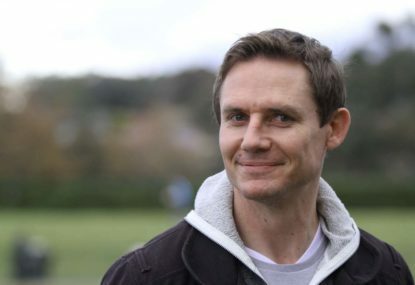 Georgina Robinson from the Sydney Morning Herald reported that Michael Cheika’s job as Wallabies head coach is likely safe but that Stephen Larkham’s position as Wallabies attack coach is in question. 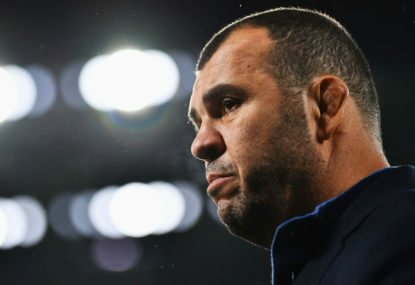 Fresh from delivering the worst year for the Wallabies since 1958, Michael Cheika is reported to have a roadshow with Rugby Australia’s high-performance manager scheduled next week to visit the Australian Super Rugby franchises. The 37-18 thumping Eddie Jones’s England dished out to Michael Cheika’s Wallabies at Twickenham seals a record number of successive wins by England over Australia, another dubious record that Michael Cheika has collected as Wallabies coach since 2016. With the break in the test season this weekend, I decided to take a YouTube trip down memory lane and watch the Brumbies host the Crusaders in Canberra in the 2004 Super Rugby final. 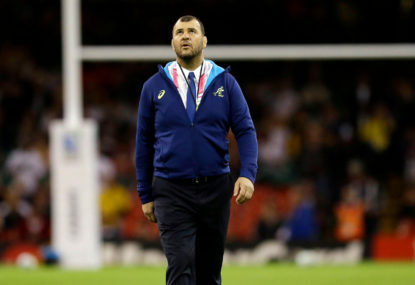 Michael Cheika has repeatedly told the Australian rugby community about how much he cares about the Wallabies, and with the commitment and passion he displays in public, there is every reason to believe him. Super 15 isn’t the be all and end all, and none of our 10s here have nailed down the position with their play. Toomua has reportedly played very well at Leicester, including at 10, so why not give him the proper run at the Wallabies 10 jersey that he has never had in Australia? 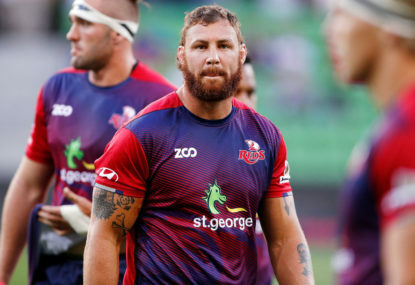 It isn’t like the Wallabies have much to lose by trying something different, if he doesn’t work over the RC, one of the other two will have been on the bench and can step up. Yet the Wallabies were scoring four tries a game in 2017, hardly indicative of a listless and confused back line. The Wallabies problems in attack in 2018 directly corresponded with Mario Ledesema and Sean McMahon leaving leaving. When Ledesema left the scrum and lineout stopped being effective platforms for attack, while McMahon’s go forward and lineout ability was never replicated by Pocock when he played 8. Add to that Cheika’s continued insistence on not having a sensible kicking game, the loss of both Kerevi and Kuridrani to injury on the spring tour, Larkham not being allowed to do his job all season and Nathan Grey’s continued stupid musical chairs in defence wearing out the wingers, and no 10 on the planet could have sparked the attack. Foley goes well enough when the coaching is remotely sensible. His running game anchors the defence and leads to breaks, his support play is outstanding and he is an accurate enough kicker from hand, who can participate in a sensible kicking strategy when one is employed. He just needs to play alongside a decent playmaking 12 and we have a couple of those in Kerevi and Hunt, as well a coach who insists that he share kicking duties to reduce his mental load. Foley’s problems are controllable, Cooper’s are not, so I would far prefer him as the backup to Toomua. Nobody has looked very good in gold for the last 3 years, their problems go deeper than 10 and I doubt Cooper would have changed anything for the better. You are right that his highs are very good, but it is his lows that worry me. The rest of the team can compensate for Foley on a bad day, but Cooper will create an unrecoverable disaster, abs the more pressure there is the more likely it is to happen. I didn’t claim that he struggled with the Sunwolves, I mentioned them as a game that the Rebels won, but I can see how that comment may have been misread. My bad, I should have said 4 from the last 6. Still a poor result for such a team full of experienced Wallabies. I certainly didn’t blame Cooper for all the losses, but several of those games did show that he can’t keep it together under pressure. The Lions gave you mention is a prime example, his brain snap and failure to dot the ball down over his own try line before the opposition winger scored was incredibly costly. 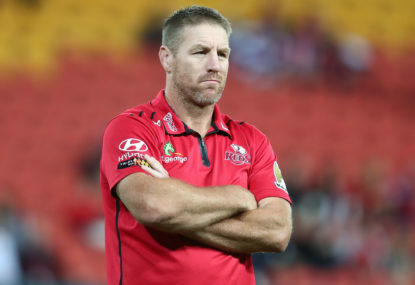 Cooper consistently makes those sorts of mistakes when his team is under pressure, always has, and the pressure will only get worse in the tests. Still no comment about the three from the last four games THIS season that the Rebels have lost, the fourth being the Sunwolves, where Cooper made multiple significant errors when put under pressure? For someone who supposedly dislikes evasive debating tactics, you seem pretty intent on ignoring realities that don’t suit you. It sounds to me like you are more interested in arguing every detail about what I have previously said, than you are in making a case about Cooper based on evidence. I find that tiresome and won’t be indulging you. Like I said Conner, I am not questioning his commitment, just his ability with respect to non-negotiable aspects of the game. What the team looked like 4 to 9 years ago is interesting Fionn, but not really that relevant to now. I am making my assessment based on what I have seen of Cooper this season. He has been good when the rest of the team has played well, but when the going gets rough he has mentally folded. It happened in the Lions, the Stormers and now the Waratahs game, enough for me to draw a conclusion that he still lacks the emotional resilience for test footy. I am not sure that we would do much better with Foley, but at least he doesn’t completely lose the plot under pressure, so his deficiencies are easier to compensate for than Cooper’s. Really, the coaches just need to tell him to let somebody else kick when he is missing, because that is the major issue for him. The Wallabies need to properly try a third option though, hence Toomua. He has always bought those good qualities, but I just think the ability to handle “the heat” of a test match is a non-negotiable in modern test rugby. Top 10s like O’Farrell and Sexton bring less in terms of skills that Cooper does, but they don’t kak their daks under pressure, which is more important when it comes down to it. That is why I prefer Toomua then Foley for our 10, I think both of them are more resilient. I reckon that irrespective of what individual selectors think, Cooper will be starting at 10 against Argentina in Brisbane RC this year. RA need bums on seats to pay the bills in a short test season and Cooper is the biggest draw card up here. This is probably even more the case now that Folau is out of the picture. Whether he makes it through as the Wallabies starting 10 for the World Cup will ultimately depend on how he goes. I don’t think Cooper is naturally the bravest player, the way he makes panic offloads, has problems under the high ball and instinctively protects himself under circumstances like on Saturday night against Foley shows that. However, I don’t think that equates to him shirking the rough stuff, he tries his best but at crunch time he just doesn’t have quite the same emotional resilience that top internationals need. It probably accounts for a bit of the bravado we see from him, he appears to me to be compensating for self doubt. Well done Tahs, you won’t hear this one eyed Reds fan say that very often, but under the circumstances congratulations are thoroughly deserved. It was definitely a grinding match, but it was also good to see that the Tahs can get the win despite the difficult circumstances this week. Thanks Bobby. 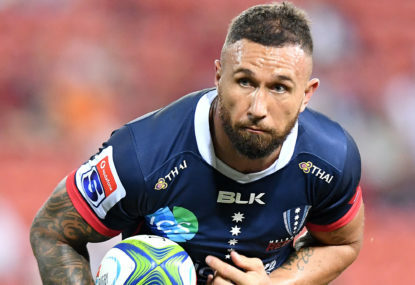 The intent of the article was more about Super Rugby teams resting stars, as a strategy to improve their own chances over the season, rather than to help out the Wallabies. It was a slippery night and both teams played for field position, which was the correct approach, but tends not to lead to many multi phase tries like you describe. The Tahs won through superior discipline and goal kicking in the second half, just as legitimate way to win a rugby game as a try fest. That said the try by Ashley Cooper was the best constructed team effort of all those scored. So yes, I would be proud of that performance if it was my team. Sometimes you gotta win ugly. That is a lot of effort to avoid saying that the Tahs were better, which is in fact the usual reason for a win. But on the two who played tonight, Cooper completely failed to assert himself in the second half of that game. In particular during the last couple of minutes he spent all his time with his nose in the ruck, instead of being out the back looking for opportunities and directing traffic accordingly. In contrast after a shaky start with the missed kicks for the sideline, Foley stepped up to effectively win the game in the second half. Foley may be less flashy, but he has a bigger ticker and that is what counts when finishing out tough games. Magnay has always been a serious hitter in defence, he loves the contact, probably a bit too much for a winger or centre. They need to tell him to stay out of attacking breakdowns unless it is absolutely necessary for him to be there, so that he is available to run the ball on the next phase. I wouldn’t pick Hanigan or Dempsey, but if other players weren’t available it would be Dempsey every time for the Wallabies. Hanigan is too small to play lock at test level so is really only an option at 6, while Dempsey can cover the entire back row. His attacking stats this season are also much better than Hannigan’s and he proved in 2017 that he is a test level lineout option, the Wallabies did well that year. I just reckon he is that bit harder and more abrasive a player, I would back him to step up. I sincerely hope that the Wallabies selectors won’t be selecting players based on misty-eyed nostalgia, about a player’s days of beating up on inferior opposition on the paddocks at Joeys, over a decade ago. I would hazard a guess that you found people who have watched virtually any player to wear the Wallaby jersey when they were schoolboys, that those people would remember those players as being impressive. – He gets brain fade at key moments leading to game losing errors. On top of all that he needs to be baby sat of the field, because at 30 years old he is still too immature to be trusted not to exercise basic adult judgements off the field. The man is valuable to the Waratahs, but he is a liability to the Wallabies, who should move on. RA shouldn’t even renew any top up in his contract, there are far better ways to spend scarce funds than on this player. Hannigan has done well but Jones, Scott-Young, Valentini, Cotterall and McCaffrey can all play six and have have all done better. Dempsey, Higginbotham and Timu are also better players, even though they haven’t made a definitive case on form this year . Barring a major injury crisis, Hanigan shouldn’t even make the short list of potential Wallabies blindsides.